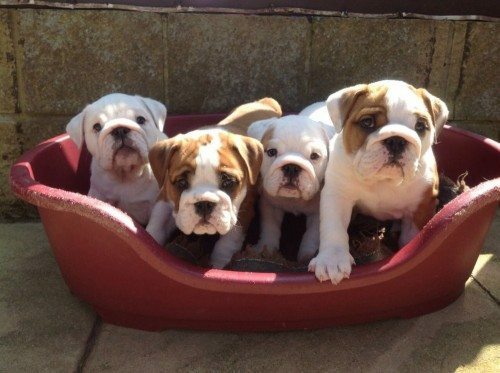 We have an outstanding litter of registered puppies boys available.These beautiful bully boys will be ready for there new homes around the 10/8/14. 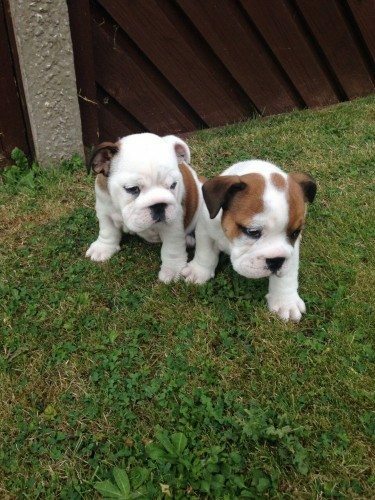 We have carefully brought together two outstanding bulldogs with over 25 champions in an illustrious pedigree between both parents. 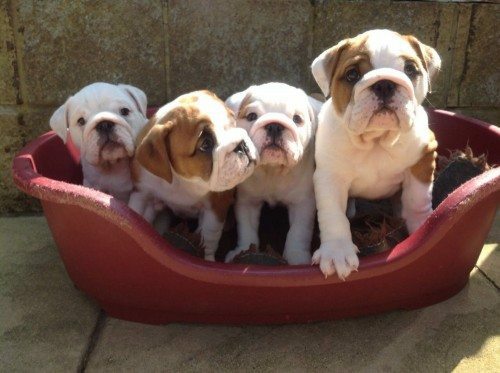 These puppy’s have been breed to the highest standard and we are confident they will add to the 25+ champions already in there pedigree. 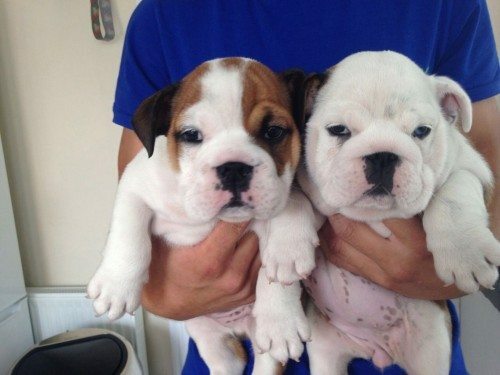 My partner and myself are interested in purchasing a toy bulldog isnthe above ad toy bulldogs or normal size ? As we are looking for a smaller sized dog. Just wondering if you have these pups still. A d if so where abouts are you to view them. Hi I know it’s a long shot but I am wondering if you have any of the pups left? Hi, looking for new addition to family, if still have males left we would love to come around and see.